With the Holiday Season upon us I want to give a shout out to a great LA Charity: Food Forward! Food Forward is an amazing all volunteer grassroots group of Angelenos who care about reconnecting to our food system and making change around urban hunger. In 2008 Michael Norton, a professor at Harvard Business School, published research in the journal Science, that proved that money will buy you happiness... that is if you give it to other people. He and his research team questioned 632 Americans about how much they earned and how they spent their income. They also asked them to rate their own happiness. Regardless of income level, those people who spent money on others reported greater happiness, while those who spent more on themselves did not. In a second study, the team also gave 46 volunteers either $5 or $20 to spend. They instructed the participants to spend the money on themselves or someone else. Again, the altruistic group reported feeling happier, whatever the size of their gift. -- Pick some Fruit! 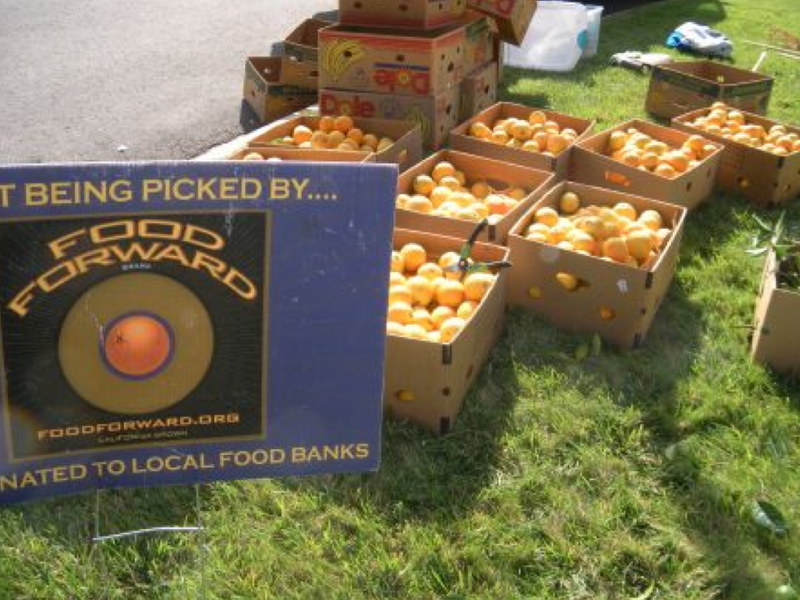 Food Forward is always looking for energetic volunteers who are interested in fruit picking at both small properties and large orchards, community outreach, volunteer leadership, property scouting and coordinating and much more. 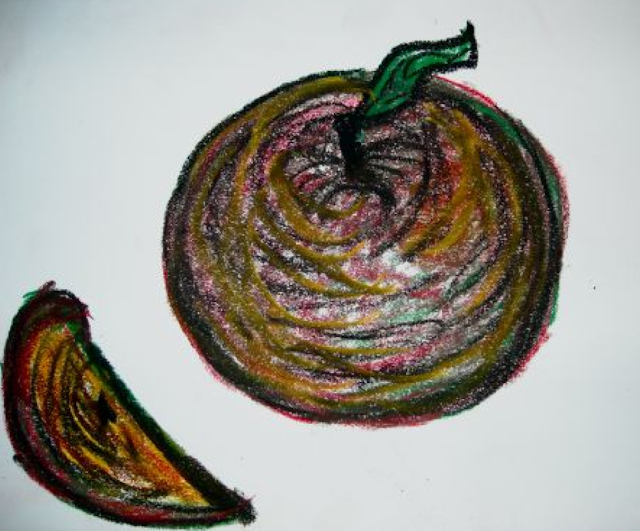 -- Donate Some Fruit! F.F. is also looking for neighbors with mature fruit trees, multi-tree private orchards or gardens with excess fruit and vegetables to share with those in need in our own community. -- Donate Materials! They are looking for garden and equipment donations such as: Lightly used vehicle, 6, 8, 12 foot lightweight aluminum ladders, Garden gloves, Gardening sheers, and Tree pruners. So What’s the Deal With Organics…? Organics. Even for the informed food consumer it can bring up quite a question mark. So it’s was with this quandary the Santa Monica Farmers Market Quarterly Library Panel Series tackled the question of organics a few weeks ago. Moderated by Laura Avery, Farmers Market Supervisor, the panel consisted of three farmers: one certified organic (Chris Cadwell of Tutti Frutti Farms), one formerly certified organic (Alex Weiser of Weiser Family Farms), one not certified organic (Molly Gean of Harry's Berries) and a chef (Neal Fraser, Chef/Owner of Grace and BLD). And then there’s a question whether something sold as organic is truly organic. Another thing that healthy eating requires is trust (something that can be totally hard to come by when talking about food these days). In September NBC Los Angeles did an in depth investigation on farmers who were lying about whether they truly did not spray their produce with pesticides. “We’re vehemently opposed to cheating,” noted Gean. “If people ask,” Laura Avery explained, “we tell them our farms have to fill out a form and have to be certified with the CCOF.” “You just have trust us,” continued Gean. “Our livelihood is based on our relationship. The trust is the keystone to the relationship. 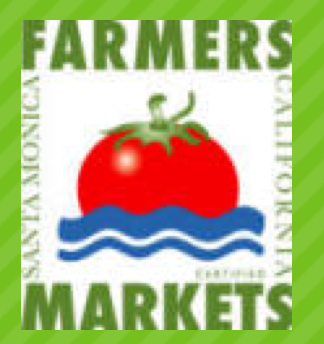 If we didn’t have the trust you couldn’t have the relationship.” Ted Galvin manager of the Saturday Pico market and an audience member noted, “I’ve had a relationship with most my farmers for at least 15 years. I know 95% of them week in and week out. If anybody’s otherwise suspicious I’ll check him or her out.” Another member of the audience noted “I worked for Whole Foods for seven years in the marketing department. They are so afraid of lawsuits so if it says organic it’s probably organic.” But trust is much easier to find if you have a relationship with your food provider. “The more informed the consumer is the better,” noted Avery. And who’s right? All of them. And that’s the hardest part. 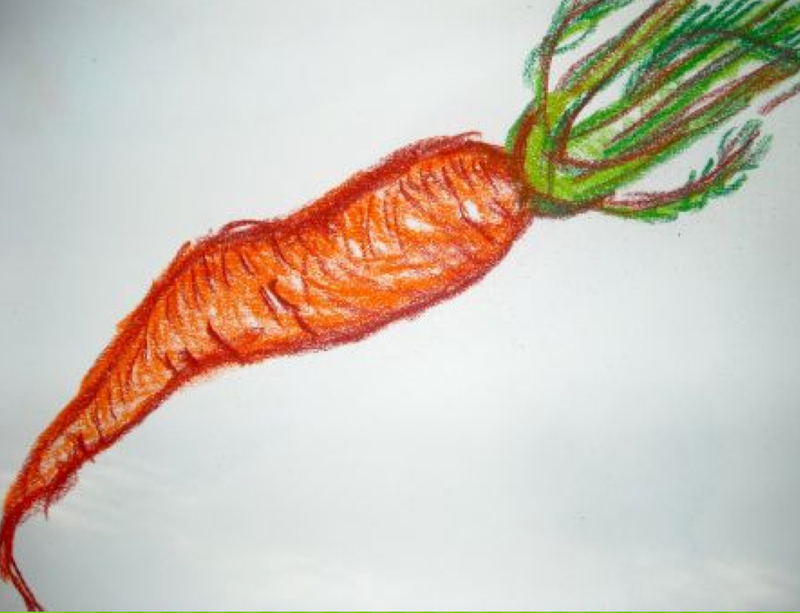 Sure in a perfect world we would all eat organic all the time, but that’s not always the case. The real issue with organics is that it’s not a cut or dry situation (and everyone likes cut and dry situations, it makes for nice and easy choices…). But this is not Rock, Paper, Scissors where one always trumps the other. Local vs. organic, industrial organic vs. small farm… the permutations are mind-boggling. So on this debate you need to take a step back, considered the options, and make an informed decision on what works best for you. And in case you missed it, the watchword for the last sentence was “informed decision” because, as was noted at the end of Food Inc.,“you can vote to change this system. Three times a day.” Just as long as you chose to think. The CSA arrangement creates several rewards for both the farmer and the consumer. For the farmers it includes getting to spend time marketing the food early in the year, having an opportunity to meet the people who eat their food, and (most importantly) receiving steady payment for their produce, which can help with ups and down of a farm’s cash flow. For consumers along with advantage of ultra-fresh food there’s the exposure to new vegetables and cooking (most CSAs post recipes for their more unusual items on their website) and the time spent not having to pick out individual items at a market. The government does not track CSAs, so there is no official count of how many CSAs there are in the U.S, but the trend is definitely growing. In 2008, 557 CSAs signed up with the website Local Harvest, which has the most comprehensive directory of CSA farms, and in the first two months of 2009, an additional 300 CSAs joined the site. Local Harvest now has over 2,500 listed in their grassroots database. For the South Central Farmers CSA all boxes are the same size (some CSAs do large and small) enough to feed (approximately) a family of four for a week or a single/couple for two weeks. “You don’t have to make long-term commitment. You can do week-to-week, monthly or six month,” explains Chavez. “You can make it work for your budget.“ The price of the box varies depending on someone’s ability to support the farm financially from $25 a box to $15 for low income families. The South Central Farmers CSA encourages folks to pay, via Paypal, at the highest level they can. For $40 you can buy a box for yourself and support a community member in need, half of this purchasing price is tax-deductible. 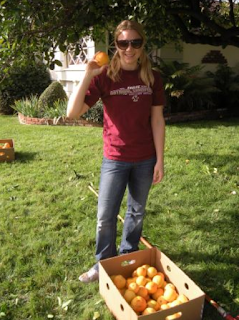 “What always strikes me with the South Central Farmers is the profound sense of community. In this wake of economic and environmental disasters it’s what we all need to cultivate more: something bigger than us, the sense of community,” notes Chavez. This becomes even more profound when you learn a little history about the South Central Farmers. Although now located near Bakersfield the farm’s moniker is not without reason. Over the past four years since the eviction, the South Central Farmers have gone on to establish a farm near Bakersfield in the community of Buttonwillow, about two hours north of LA (quite a daily commute). Last month, the farmers had a ceremony attended by Congresswoman Maxine Waters to initiate the opening of the irrigation system to water the 80-acre Buttonwillow site. However, the farmers seek to return to their urban roots, while continuing to build the broader movement for food sovereignty through the activism of their "community-based agriculture" project in Buttonwillow. A Food Desert is a location in a city where there are no access to healthy "real" food and is instead populated with with unhealthy "fake" food. In layman's terms: Whole Foods Ain't going to low income areas... these are areas where the only place to buy your food is at a fast food joint or a liquor store. So in certain parts of the city, probably not where you live Yuppie if you're reading my "food blog," kids don't know what a fresh vegetable looks like. But luckily some Foodie-types got together to do some do-gooder work, Hooray! They built a garden at the 24th Street Elementary School so that kids can learn what a tomato is (and have a great outdoor space to run around)! And once a month you're welcome to show up to help plant seeds, turn beds, and generally just play the outdoors and get nice and dirty while earning some good Karma. Check it out. Below are the Deets! Bring your shovels, gloves, sunscreen (Mos Def! 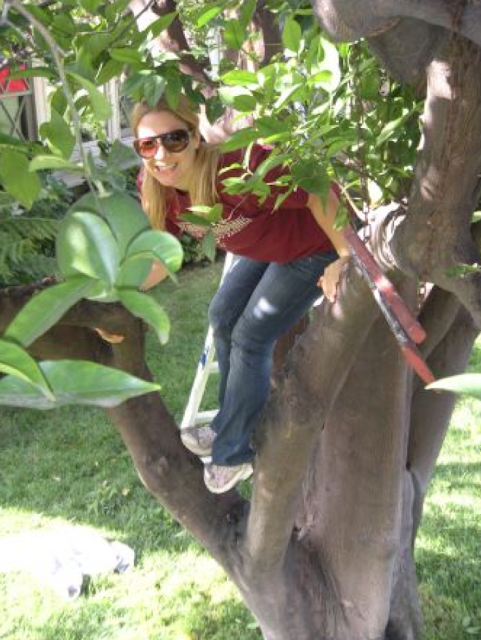 ), water and your favorite gardening tools. Directions: From the I-10 Freeway: take the "Western Avenue" exit (3 miles west of downtown) and head south on Western. Take a right turn on 24th Street. The school is one block down on the right, and the parking lot entrance is just beyond the school. There is plenty of street parking as well. Something to Check Out: Santa Monica Farmers Market Quaterly Library Panel Series Tonight! It's time for another Santa Monica Farmers Market Quarterly Library Panel Series tonight. The last couple of I've attended have been totally packed so get there early. I recommend a lot of events, but the Library Panel Series definitely my favorite. Free, fun, super educational, and great food at the end of it (also free)! Deets are below! Organic Growers - who "CERTIFIES," who doesn't, and why. Meet three farmers: one certified organic, one formerly certified organic, one not certified organic and a chef who are asked this question on a regular basis and learn why all their answers are correct. Perhaps you’ve heard the news, but Gourmet Food Trucks have finally made it to Santa Monica! Thanks to a temporary three month permit, from 5:30-9:30 at the California Heritage Museum and Victorian parking lot (home of the Sunday Santa Monica’s Farmers Market) the residents of Santa Monica can enjoy such exotic fare as Cubano Sandwiches, Vietnamese Pho, and Don Draper flavored ice cream (comprised of Vanilla, Bourbon, Carmel, and Smoke!) And although the event has been rained out twice since starting a little over a month ago, there’s nothing but smiling faces on the friends of the California Heritage Museum as this event is helping financially save both it and its Main Street neighbors. “About six months ago we began working to have Food Trucks in our parking lot on a day of the week that Main Street is typically very very quiet,” explains Tobi Smith, Director of California Heritage Museum. “It was suggested first to our staff and then to our directors that having these Gourmet Food Trucks would be a non traditional means of supporting museum, but also support the Main Street merchants. The Heritage Museum has tried very hard from the being to have the approval of the neighborhood, making sure to get the support of the Main Street Merchants Association and Ocean Park Association. “We did some research on other areas that were already offering Food Truck evens, such as Abbot Kinney’s on First Fridays. And discovered that a good amount of people ended up dining in restaurants and going into stores because a lot of people don’t want wait in line,” explains Smith. Tuesday nights are normally very sleepy on Main Street, especially in this economy, but two weeks ago (since last week’s event was called due to inclement weather, a continuing chagrin for the museum who was hoping to start their offerings during the summer’s sunny skies) restaurants in close proximity to the event such LaVecchia, Lula, and Finn McCool’s were definitely bustling more than usually. Everyone has a different take on how to enjoy the trucks. A hipster couple on a date might use the trucks as a source of appetizers and then go somewhere else for the main course. A group on a double date might dine at the trucks for dinner and then end up at the Galley for dessert. And some people just look at it as the ultimate option in take out. “My brother who lives nearby comes to the lot, buys the food, and takes it home, so he doesn’t have to worry about cooking,” notes Smith. And along with the benefit to the nearby restaurants the museum is also hoping for a spillover to retail side of Main Street. “If we can bring a lot of people to the street than the Main Street stores might keep their doors open later in the future,” states Smith. And for those who are not residents, there are a many reasons for the Food Truck followers to make Santa Monica their destination choice, such as the comfy al fresco dinning. “Instead being forced to stand up while eating,” explains Smith, “you can picnic on the museum’s lawn (as long as it’s not raining); we’ve just put new lighting so it’s now very well lit out there.” Another great perk of the Tuesday night Food Trucks is the option to imbibe alcohol. “You can go out to the Victorian and can actually get a beer or wine to enjoy with your meal.” Definitely a perk for the wine loving SoCal crowd. And for those who fancy another drink afterwards, there is the option of going downstairs to the Tavern, the basement bar at the Victorian, and enjoying their offerings.